What are Foot Callouses and Corns? Calluses are similar, expect that they are more spread out over the skin and are flatter in appearance. If your callus has black dots – it may be a plantars wart- see a Foot Dr immediately! Where Do Foot Corns and Calluses Form? Sometimes, a bone in your foot is out of the normal position. The skin that is caught between the bone and shoe or the bone and the ground will begin to thicken to protect the foot from pressure. As the skin thickens, it can become painful. How Are Foot Corns and Calluses Treated? Both can be treated by removing the conditions that cause corns and calluses on the feet, which will reduce the friction that is causing your skin to harden. Plantar warts on the foot are treated very differently- have the Podiatrist check it! It’s important to remember that corns and calluses are not usually harmful (although those with diabetes should let their doctors know if skin begins to thicken on the foot). However, serious calluses and corns can become infected, affect foot movement or destroy healthy tissue. If that occurs, they’ll need to be removed. With our help, calluses and corns can be monitored and controlled. There are certain medications and special exfoliating creams in our Beaver County Foot Doctors office and Butler County Foot Clinics that remove the dead skin that make up most corns and calluses. However, you should never try to cut or shave them off yourself—corns and calluses can become badly infected, especially if you are diabetic or have poor circulation. What are the causes of calluses and corns? Technically, both corns and calluses are forms of hyperkeratosis, which is the scientific term for thickening of the skin. This is one of the skin’s protective mechanisms, and corns and calluses are meant to shield the skin from chronic rubbing or pressure. Anything which causes friction or pressure has the potential to trigger this type of skin response. By far, the main cause of corns and many types of calluses is improperly fitting footwear. Shoes or boots that are too loose, too tight, or have protruding seams or stitching can cause excessive rubbing. Foot abnormalities such as bunions, hammertoes, and bone spurs can also subject the feet to abnormal points of pressure and friction. Having an abnormal gait can contribute to these issues as well. While corns are usually located on the feet it’s also possible for them to develop on the hands. Professionals who use tools daily such as carpenters and construction workers often develop hand corns, as do musicians. Corn and callus risk factors. Performing manual labor. Corns and calluses are extremely common among construction workers, farmers, and other physically demanding professions. 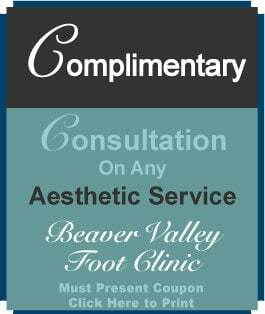 Give Beaver Valley Foot Clinic a call now to arrange an appointment for your painful calluses! Our podiatrist can treat the skin problems that affect your feet. Immediate relief of corns and callouses! Q. What is a callus? A. A callous is hardened, area of thick skin found a pressure point where rubbing or friction occurs. Q. What is the best callous treatment? A. The safest and best callus treatment is found at your local Podiatrist in Butler County. Dr Teimouri DPM will shave down the callous gently and painlessly with a scalpel. Q. What are some callous treatments I can try at home? A. Popular home remedies for calluses include Pumice stones, sandpaper and moisturizing creams. FYI over the counter creams are not strong enough. Our podiatry office, Beaver PA and other locations carry much stronger options like 40% urea cream and keratalytic agents that slough off the dead skin with out damaging good skin. This is especially important in our Diabetic patients. 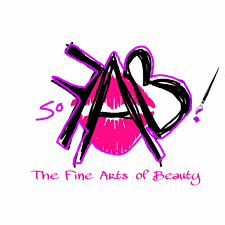 Q. I get painful cracks in my heel, what is the best treatment for cracked heels? A. The best treatment for Cracked heel fissures is to #1 get a correct diagnosis from our Foot Doctor in Moon Twp or other locations as to the cause of the cracks, which are multiple. One cause may be tinea pedis, or athletes foot , causing the thick skin and cracks. 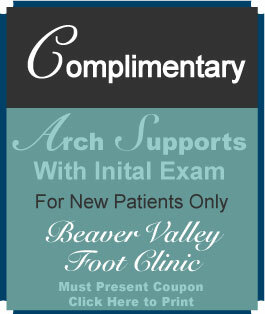 The Foot Doctor can write a prescription to heal it in about 30 days. She can also shave the thick skin to prevent the cracks from going deeper.